Excellent drone flyover of the beautiful Scottish Highlands area covered in winter snow. 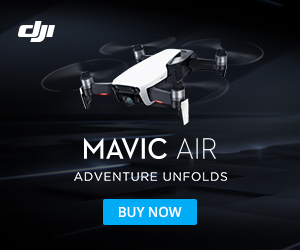 Watch the above 4k (Ultra HD) video published by Rokh Drone Productions using a DJI Inspire 1 drone rig. Filmed by drone pilot Stuart Hill, fantastic job with flying and great video editing for a smooth video capture and transition to the many magnificent areas in the Highlands in the winter snow … from the Loch of Tulla to the snow topped mountains of Scotland. Glen Coe is a glen of volcanic origins, in the Highlands of Scotland. It lies in the north of Argyll, close to the border with Lochaber. It is often considered one of the most spectacular and beautiful places in Scotland, and is a part of the designated National Scenic Area of Ben Nevis and Glen Coe. The main settlement is the nearby village of Glencoe located at the foot of the glen. Glen Coe is a very popular tourist destination: partly because of its scenic qualities and historical associations, partly because it is on the main road north (the A82), and also because of its attraction for walkers and climbers. It is famous for the quality, and variety of its winter climbing, most of its routes being comparatively easy to access from the main road. Loch Tulla is a small loch near Bridge of Orchy and Glen Coe in Scotland and in the central highlands.